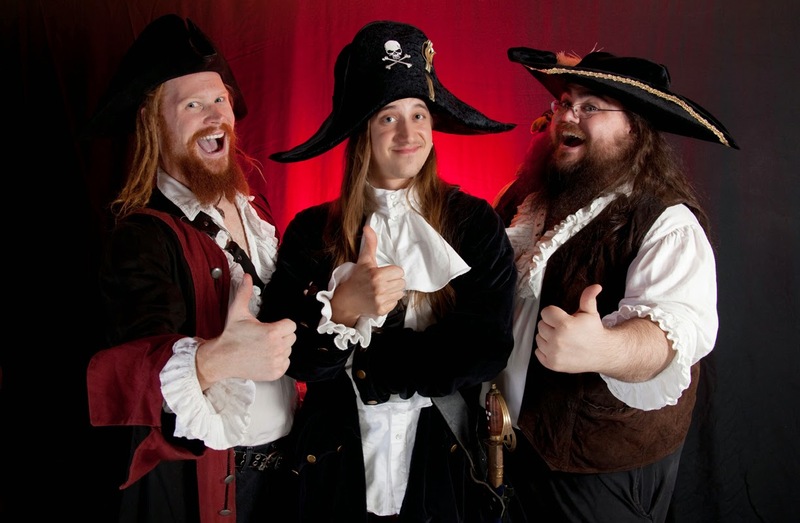 Swashbuckle have slowly become more well known over the last year or so, and are known for their whimsical humor and play-rivalry with fellow salty dogs, Alestorm. The New Jersey trio have three LPs in their discography, the latter two released back-to-back between 2009 and 2010, during their nine year venture. We Hate the Sea EP is the first release in four years for the band, what are listeners to expect after the brief release hiatus? This nearly seven minute EP offers up four combative thrash tracks that are much more aggressive than any previously heard Swashbuckle material. Though this isn't necessarily a bad thing, but the group have completely reformatted their style this time around and in doing so have cast away all of the little quirks that sealed their infamy. The anthems aren't nearly as memorable as some of their prior fan favorites, such as "Scurvy Back" or "Cruise Ship Terror". Despite being the shortest track present, "I Hate the Sea (And Everything In It)" is really the only offering that denotes a worthwhile mention on this release; the drums and vocals during this track have a slight grindcore influence, which sets it apart from the rest of the ensuing hysteria. The decreased song lengths have left little room for anything but fast riffing and fast as hell drumming; basically if you were to trim down and cut out the fat of prior tracks such as "Crewed by the Damned" or "Back to the Noose" you would be left with what these four titles encompass. Though beyond the standards, the drums do entail some pretty enjoyable percussion accents and maintain a tight, fluid fit overall; which is an outstanding feat given the BPM of the content. It should also be noted that this EP is a first appearance for Eric Brown, the newest member of the Swashbuckle crew. Expect no solos from the guitar, the listener will be met with a madhouse of decently variant power chord riffs set in thrashy, upbeat structures. 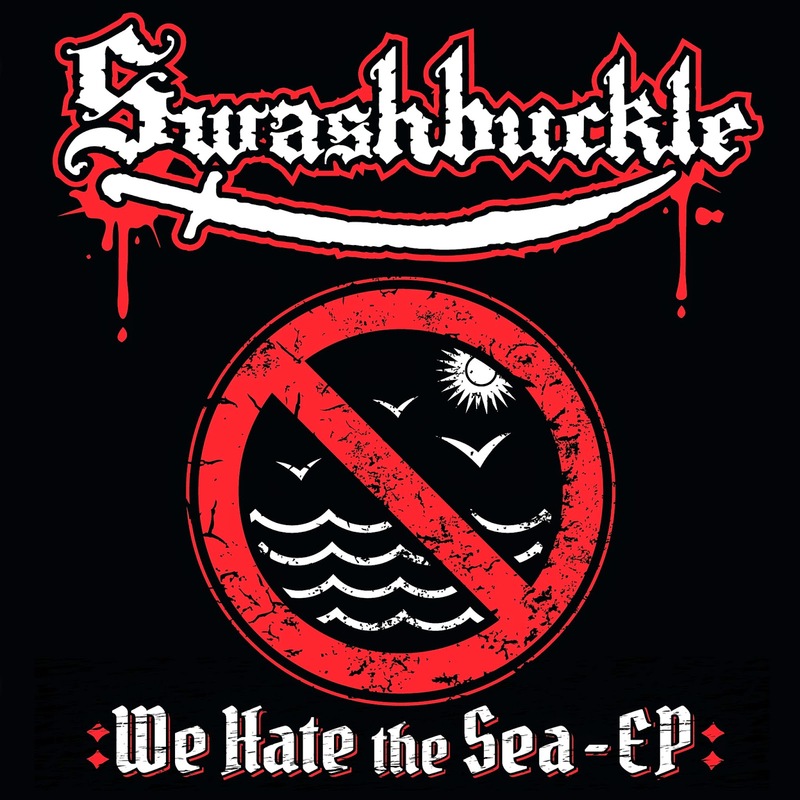 We Hate the Sea EP is sure to gain varied responses due to its difference from the rest of the Swashbuckle discography. On one hand, the crew have kept the bare essentials from their prior releases and have done away with all of the juicy tidbits that make their sound more than just velocity-conscious thrash metal. On the other hand, the drum pattern choices for the content are lively and enjoyable, while some of the guitar riffs are noteworthy hooks that you'll catch yourself bobbing your head to. It's obvious that the band are attempting to step up their notoriety and differentiate themselves from surrounding pirate based acts, but perhaps that hunk o' fat laying on the floor that was carelessly tossed away was what was separating them from a lot of other terrors from the deep.